The Island Cow (only Ice Cream)They make their own ice cream! Harbor View Great lunch/breakfast with views of Stonington harbor. might imagine, any restaurant that can close on the weekend and stay in business is extremely popular. the kids. Good onion rings and lobster rolls. Buck's Harbor. Beautiful location with picnic tables and a great view. Good fish sandwiches. This is a family favorite. food to go with it. Choose from a beautiful dining room or a lower deck as close to the water as you can get! Mikey G's : Within walking distance of the cottage. 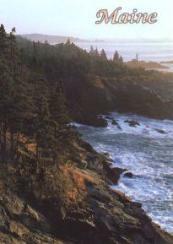 Pilgrim's Inn: located in Deer Isle Village just minutes from your house. Excellent fine dining. Café Atlantic: Great view! Located in the middle of town in Stonington. April through October. (367-6373). we have not tried, but past experience suggests that it will still be a great place to dine! restaurant for great popovers and a fun locale. There are several easy day hikes as well and good biking trails. "express" ferry to Nova Scotia on the CAT. good wine store. Try the Fish Net for great take-out lobster rolls. exactly the same today as in Robert McCloskey's books, complete with Condon's Garage. 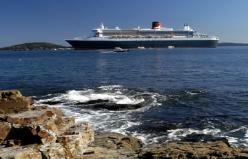 *Castine: picture perfect Maine coastal town with an excellent golf course, cute shops, beautiful yachts, and good food. It's a great day trip (about an 1 hour + away). *Maine Lobster Festival: (Rockland) August 1st through 5th. Lots of fun! *North Atlantic Blues Festival (Rockland) July 14th and 15th. 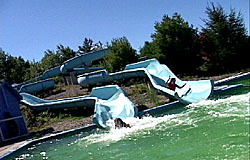 Aquaboggan Water Slide Saco ME 101.3 mi. Goose River Golf Club Rockport ME 19.7 mi. Kebo Valley Club Bar Harbor ME 25.8 mi. Black Mountain Rumford ME 95.4 mi. Big Squaw Greenville ME 96.5 mi. Mount Abram Locke Mills ME 100.9 mi. Shawnee Peak Bridgton ME 101.7 mi. 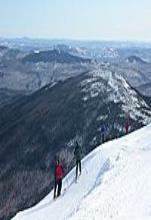 Sunday River Bethel ME 105.3 mi. Saddleback Rangeley ME 109.6 mi. Lamoine State Park ME 24.8 mi. 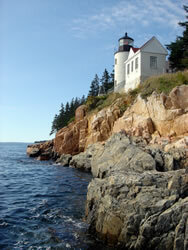 Maine's parks, animal watching, hiking, camping, biking, site seeing and so much more. 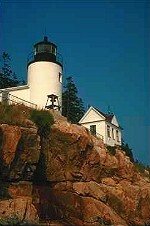 sightseers, on island bicycle rentals, and seasonal service to Acadia National Park at Duck Harbor on a Charter Boat. and also workshops on “the art of publicity” that teaches artists & craftspeople how to publicize their work. year-round films, performances, arts-related workshops, and community events.